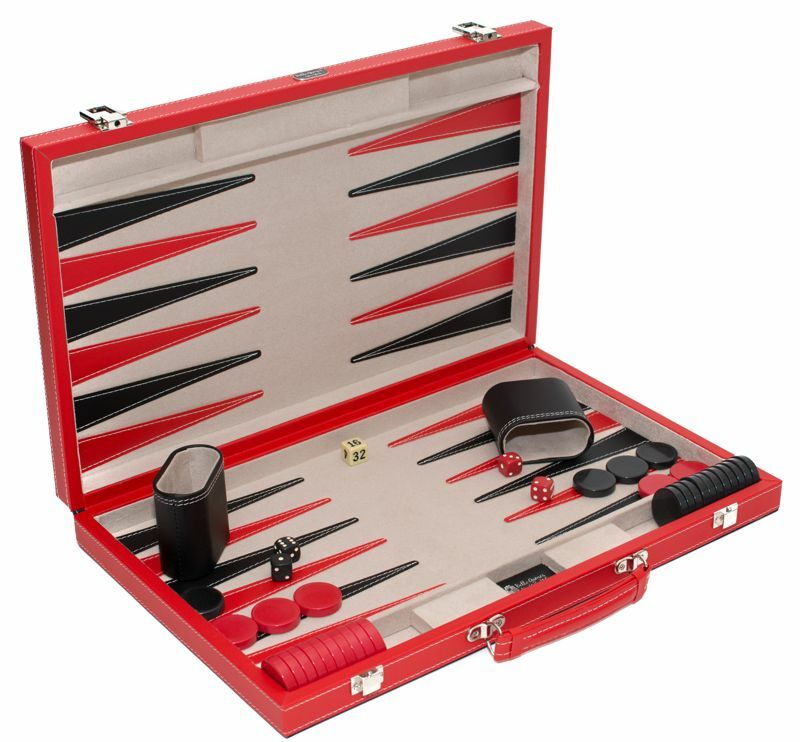 Broome Street Backgammon Set  - $79.99 : Bello Games New York, INC. 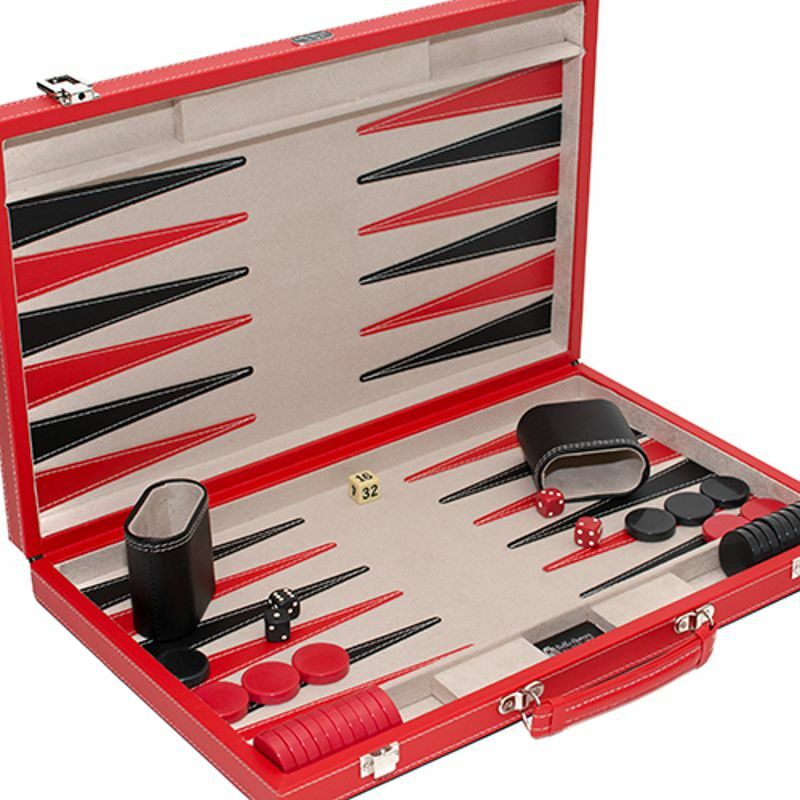 This classic leatherette backgammon set features excellent colors, craftsmanship and a beautiful design. Velour interior with leatherette points. This set is accented with beautiful double stitching all around the case and dice cups for that modern look. • Solid brass latches which is silver plated. • Complete with four dice, one doubler, two genuine leather dice cups.